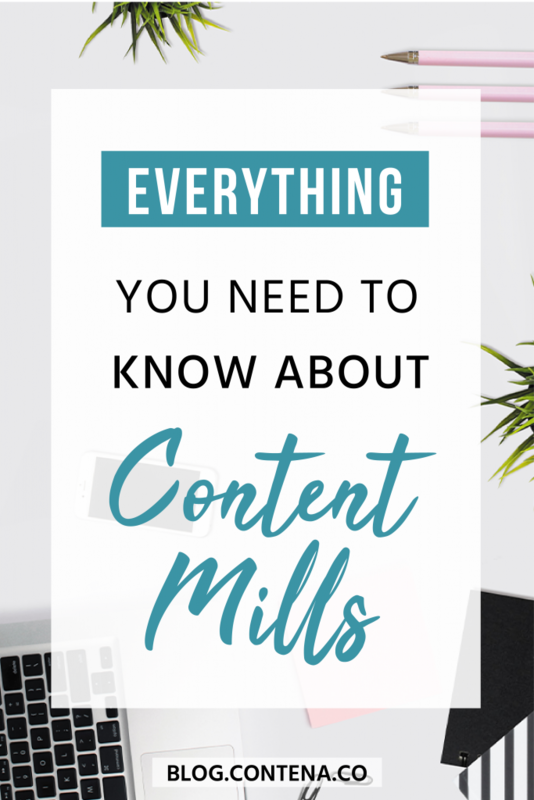 There are no ifs, ands, or buts about it: The topic of content mills is a polarizing one in the freelancing community. While some sing their praises, other villainize them to no end. So what’s the deal with content mills? 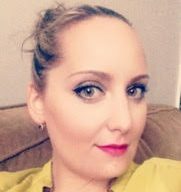 Let’s discuss what they are, who they’re good for, and some pros and cons of working for one. These companies also identify as content marketing agencies, as the descriptor is pretty self-explanatory. Clients hire these agencies to obtain content for their sites; mainly ghostwritten blog posts and articles. Most often, there’s a hard focus on SEO. These SEO-heavy posts help raise Google rankings, therefore making the clients’ website or company easier to find. Assignments are typically doled out among a pool of freelancers and for the most part, have a pretty quick turnaround time. Who are content mills good for? Content marketing agencies can be a useful tool for freelancers, especially those just starting out. Firstly, content mills require a rather large pool of freelancers. The high demand for writers makes this a relatively easy gig to land. Most will request a writing sample or test article to get on board, but as opposed to pitching private clients, your experience (or lack thereof) usually isn’t an issue. This easy onboarding makes content mills an excellent option for those with a little-to-no freelancing background. Some agencies allow you to use your articles (even if they’re ghostwritten) for your portfolio, making it a great way to pad your resume. If beefing up your resume is your goal, confirm you’re allowed to use your work in a portfolio before taking on the position. A lot of first-time freelancers use these content mills to “cut their teeth,” so-to-speak, on internet writing. It’s an easy way to boost your research skills as well as gain a better understanding of keywording and other essential SEO skills. Consider it a “crash-course” in writing for the web. As with any other job, it’s also important to know when to move on. While content mills can be a good starting point, these companies should be considered a stepping-stone to grow both your business. As your experience (and portfolio) grows, you should venture out and seek higher paying jobs to get your business off the ground. Although there are many pros for newer writers, veteran freelancers can find value in content mills as well. Because the very nature of freelancing is uncertain, even seasoned pros can find themselves in a “dry spell.” Especially for writers with some experience, a lot of gigs from these mills are relatively easy to complete quickly and can help fill some extra “billable” hours. Keep in mind: some companies stipulate you must submit a certain amount of pieces per week or month to retain employment. If you’re looking to use content mills to fill up empty time, be sure you get on board with one that allows you to submit as much or little as you’d like. Many private clients utilize a pay schedule, such as issuing payment on a specific date bi-weekly, monthly, or even quarterly. Content mills, on the other hand, have been known to pay weekly, if not more frequently. Content mills are also a great way to explore new niches. Usually listed as “multi-topic writers” in job listings, the assignments topics often vary. For example, while working for this type of company, I was assigned a travel destination piece followed by a post on the automotive industry. The majority of the time, freelancers work primarily within their niche. The ability to check out other niches without any significant commitment is a welcome change. As with all things sounding too good to be true, there are some drawbacks to content mills. After all, this wouldn’t be controversial topic without some pitfalls. Let’s jump into some of the reasons mills make freelancers wary. The most glaring point is that, on average, content mills offer a pretty low wage. Some pay per word, ranging from .01 to .05 per word, where others may pay flat rates such as $5-10 per article. Adversaries of content mills will tell you that these types of companies undervalue their writers while taking the lions’ share of the profits. While that may be true of many content mills, there are those who pay quite well. It’s reported that some agencies will pay up to $1.00 per word for high-quality writing. Note: Contena can help you find the perfect job by giving you a quality score rating of RPW (rate per word) or salary for each opportunity listed. Some companies will only pay if the client immediately accepts the article while others will offer writers a chance to revise. Depending on the client, this can lead to a lot of unpaid work. A little research on your end will help you decide if the company and their practices are right for you. Keyword stuffing is the practice of filling posts with keywords to appear more relevant in searches. In truth, it’s quite ineffective and can lead to penalization, yet remains a mainstay in many content mills. This, among other “shady” SEO practices employed by many content companies, can lead to your name becoming attached to what Google and other search engines would deem, spam. While working in a content mill to gain experience is all well and good, they don’t always give an honest impression of how the particular freelancing job will work. For example, you may not have a dedicated contact person or editor, making it hard to get questions answered, and feedback of any kind is a rarity. Many content mills use automated systems to both assign and hand in projects, leaving little room for questions or clarification. Speaking of automated systems, this can be either land in the pro or con pile, depending on how you look at it. Some companies have you choose from preselected assignments, allowing you to get to work, pitch free. The downside? You may have no interest in the assigned work. Because mills act as brokers, the clients’ needs are clearly defined when the work comes across your desk. For the agency I worked with, each assignment came with the topic, title, keywords, and even how many links they wanted, all pre-set and ready to go. What could be better than paid work with little up-front efforts on your end? While the pre-set topic and keyword package may seem like a cushy gig, they can end up sapping your creativity as you’re mainly following a template. If projects are assigned, you may find yourself working on pieces that are of very little interest to you. Work is work, but who really wants to spend their time and energy writing up a 1,500-word piece that bores you to tears? There is undoubtedly an abundance of both pros and cons in working for a mill. Its value is very much dependent on your individualized needs. Whether you’re a brand-spanking new freelancer or have been at it for years, content marketing companies can indeed offer opportunities for self-improvement and growth. Together with Contena, find a company that fits all your needs and get to writing!